Yes, our life is just like kite. Can’t believe it? 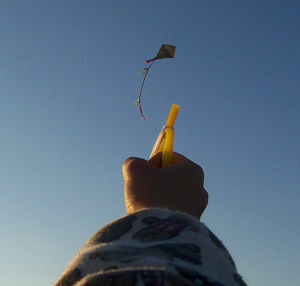 We have to go against so many rejections and criticism to fly high, just like kite has to go against the wind. But, this is not the point to be noted because we all know that. No matter how much successful we become, we should be down-to-earth, because if the kite is not attached to a string (which is on land) then it will fly uncontrollably and will finally be found struck in a tree or lying neglected on some building’s rooftop. “If you want to really fly high, go against the wind.